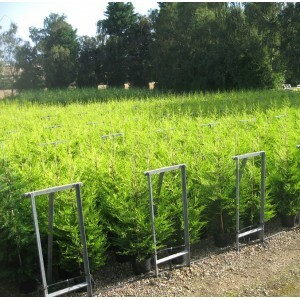 Leylandii makes an excellent hedge that it perfect for security and screening. It is quick growing and extremely tolerant most soil conditions and situations. It has a upright columnar habit with dense foliage. By trimming your Leylandii once a year you can keep it to any size required and if you keep it to manageable height it is easier to maintain.